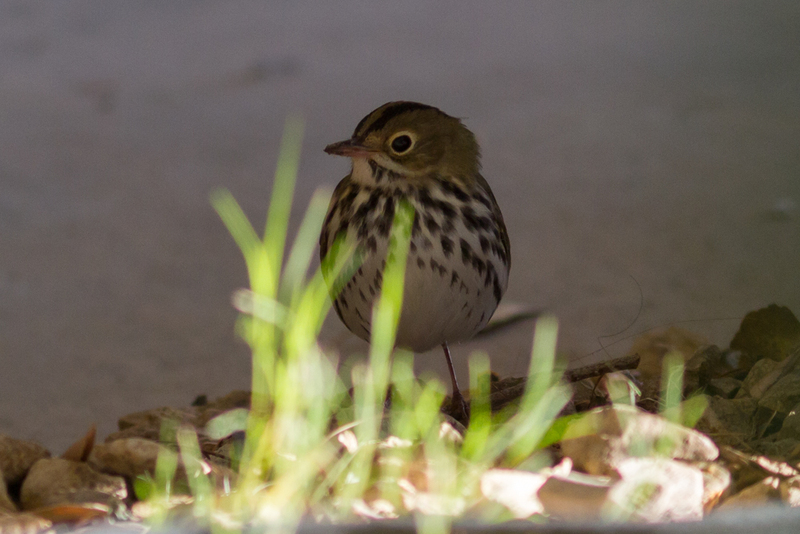 I’ve been running a few local walks just to enjoy the process of fall migration and to get to meet a few local birders. That said there’s only so much fun you can have birding in a couple of hours, so I suggested to the group that maybe we could try something more extensive. Enough people seemed to like the idea and so for that reason this Thursday we found ourselves meeting at a park and ride on the 210 at La Canada in the wee hours of the morning in order to get to birding in the desert as near dawn as humanly possible. We started our morning at what has rapidly become one of my favorite LA birding sites: Rancho Sierra Golf Course (which is either in Palmdale or Lancaster depending on who you believe). Our trip got off to a pretty explosive start when after spotting a couple of Black-throated Gray Warblers another sweep of my binoculars yielded a female type American Redstart. Views were brief at best before it flew and the group split to try cover as much territory as possible. In a couple of minutes though I had relocated the bird and it posed nicely in the bare twigs of a half dead cottonwood allowing good views for the group. What a nice start. 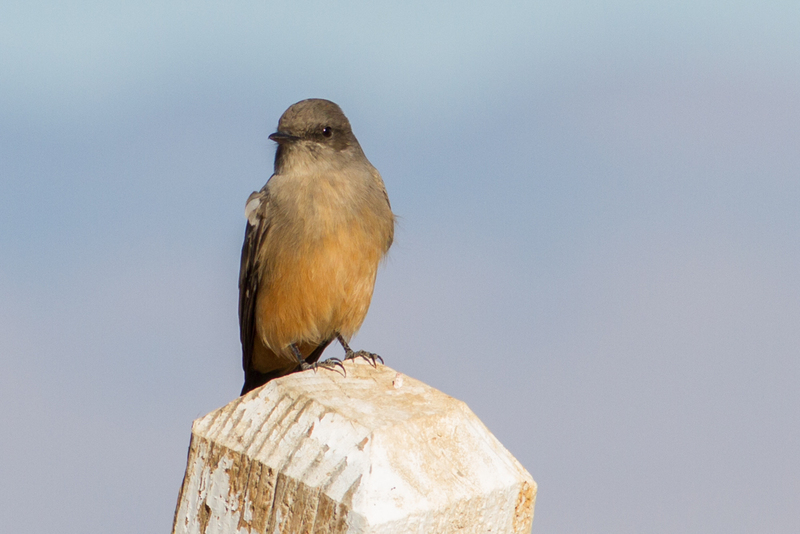 There was a nice mix of species at Rancho and it felt birdy but though we tried we didn’t come up with anything more exciting than the Redstart. 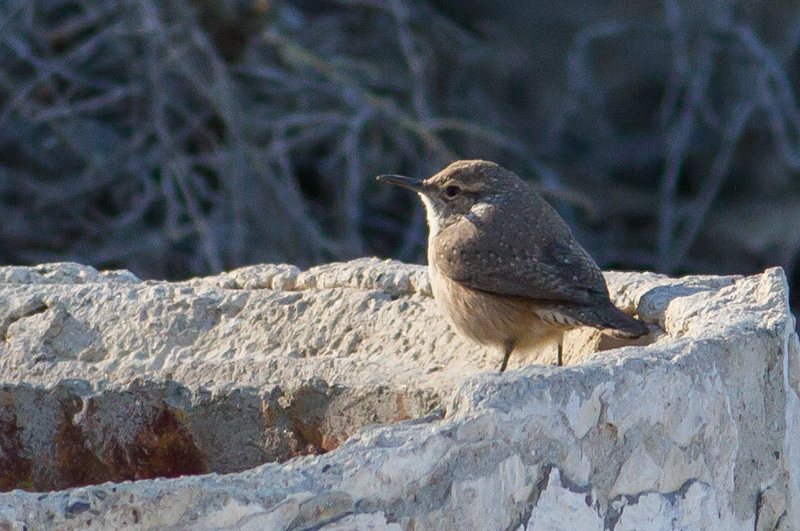 That said a Rock Wren perched on the only rocky habitat there (an old concrete pipe) and two early Ferruginous Hawks (that had perhaps come in with the Turkey Vultures that were roosting in the trees at the course) were a nice bonus. A quick stop at the farms on West 50th produced next to nothing and the diversionary drive to Apollo Park via Blackbird Park (the planes not the birds) was probably more entertaining. Apollo was quiet with almost nothing in the park of interest. It’s always interesting to me how one park in Lancaster can be busy and another almost dead. Perhaps timing or maybe where the migrants have arrived from? Probably the highlight of the visit to Apollo was finding a somewhat uncommon Horned Grebe. This was certainly my first for the park and there are just a couple of records of this species each year. It was also nice enough to be sat with one lone Eared Grebe which provided nice comparisons for the group. Galileo Hills Silver Saddle Resort is an incredible and somewhat bizarre oasis in the south eastern corner of Kern County, just outside of California City. California City (the self-styled third biggest city in California) is itself an interesting failed suburban development (more here). The resort isn’t open to groups at the weekends which is what prompted me to hold this weekday trip. As you drive in from what is essentially the Mojave Desert, it’s amazing to come upon this small area of lush greenery. The lawns, ponds, fountains and trees here are a magnet and a safe haven for any number of wayward (and not so wayward) migrant birds. Silver Saddle boasts a number of incredible local records including such anomalies as Arctic Warbler (check out the eBird hotspot checklist here). Though not particularly busy on our visit a hybrid sapsucker was an interesting find. On our way back to Mojave for the evening we made a quick stop at California City Central Park, the somewhat crumbling focal point for the areas development. Here we added a couple of new species for the trip including a latish Hammond’s Flycatcher that provided us the chance to work through empidonax flycatcher identification. 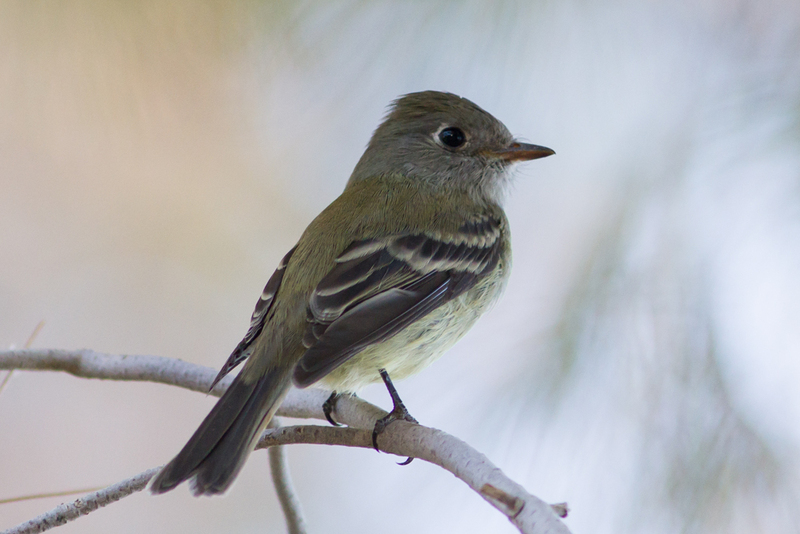 This identification is more complicated than usual because, as well as the usual west coast empidonax suspects, between Galileo and the Central Park California City boasts multiple records of Least Flycatchers and one each of Yellow-bellied and Buff-breasted. We ended our day in Mojave at Mojave Thai Cuisine (yelp reviews here), enjoying great food and conversation about all things birding before heading for an early night in anticipation of more birding adventures the next day. Friday we started our day bright and early at Silver Saddle. Again it wasn’t overly birdy but we did manage to add a couple of new species to our list including brief views of a Cassin’s Vireo and long and accommodating views of an Ovenbird. This eastern vagrant showed particularly well and allowed all that wanted to to get some nice photographic records of the bird. With many of the group having evening plans in Los Angeles we decided to cut our adventure a little short. 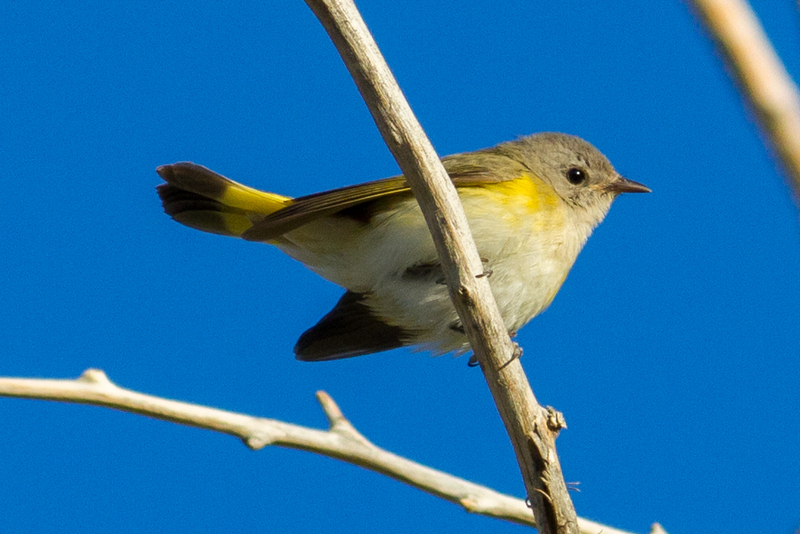 We however had time for a brief stop in California City back at the Central Park where we managed to add a handful of new birds for the trip including Western Wood-Pewee and Wilson’s Warbler. One of our last sightings of the tour was perhaps one of our best: a Lewis’s Woodpecker perched in a pondside snag around California Central Park. We got decent views of the bird perched and then got to witness its distinctive flight as it circled the lake a few times before heading off for a quieter spot along the golf course. A nice way to end the trip, with the Lewis’s and the American Redstart providing exciting bookends to a really fun trip. I posted a few photos from the adventure on my flickr page (here) and am already thinking about where we might run something like this again in the future!